Gandhi Jayanti is the national festival of India. The birth anniversary of Mahatma Gandhi, father of the nation is celebrated as Gandhi Jayanti. It is celebrated with great honor on 2nd October every year. Gandhiji’s full name is Mohandas Karamchand Gandhi. He was born on October 2nd 1869 at Porbandar in Gujarat. Gandhiji played a significant role in achieving independence for India. He is known for his simplicity and will power. People called Gandhi with love as “bapu”. People of India are grateful to Mahatma Gandhi and his birth anniversary is celebrated all over the country. It is declared as a public holiday and all the schools and offices remain closed on this day. Gandhiji believed in truth and non-violence and preached the same. He got married to Kasturba at the age of 13 and went to England to study law at the age of 18. He came back to India in the year 1915. When he returned back he found that people in India are struggling for freedom. His heart melted and started nationwide stir to achieve swaraj. He started Non-cooperation movement in the year 1922. He started the “Salt Satyagraha” movement in the year 1930 and encouraged people to participate in it. In the late 18th century and early 19th century Britishers used to produce and distribute the cloth in India. Seeing that Gandhi felt that India can never be freed until and unless it produces its own cloth and so encouraged people to weave and spin cotton using small scale traditional spinning wheels. Later, this spinning wheel became the symbol of freedom struggle and bapu’s life and work. Gandhiji is a great person who struggled for India’s independence and achieved it through non-violence. But, he could not enjoy the India’s freedom for long time. Few months after the independence, Gandhiji was assassinated by Nathuram Godse on January 30th 1948 when he was on his way to his daily prayers. He is the man who proved to the world that freedom can be achieved through non-violence. 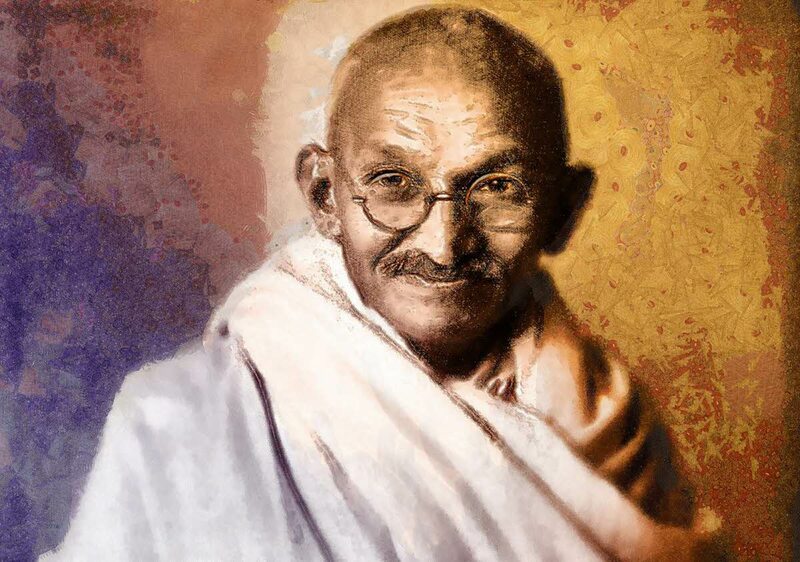 And this great person’s birth anniversary is also celebrated as International day of Non-violence. People all over the country celebrate it with great honor. The favorite song of Gandhi “Raghupati Raghav Raja ram” is sung by the people in the meetings held on this day. Rajasthan and Delhi are best places to watch the celebrations of Gandhi Jayanti. Rajasthan: in Rajasthan Gandhi jayanti is celebrated with lot of fanfare. The streets of Rajasthan are decorated with tri-color flags. Many cultural programs are organized in various parts of Rajasthan. Tourists all over the country visit this place to know more about his life and love and respect people have for him. Delhi: Raj Ghat is a place in Delhi where gandhiji is cremated. Here a special event is organized and people do special prayers and pay homage to Gandhiji on this day. Another place to visit in Delhi to watch Gandhi jayanti celebrations is Pragathi Maidan. Every year special prayers, Bhajan programmes and Cultural programmes are organized here.